You gotta hand it to politicians… if there’s one thing they know how to do, it’s getting reelected. Part of the reason I suppose you could say the same for any politician halfway worth their salt. 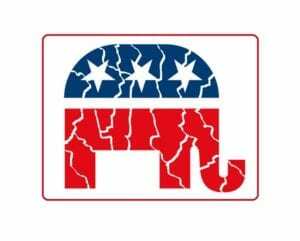 Those elections are certainly how Texas perseveres as a reliably “Red State” even as our demographics have shifted so dramatically that many folks are puzzled as to how there are so few competitive races in this Republican dominated state. The ruling is yet another blow to the state in its six-year legal battle over the redrawing of the maps. Last month, the same court found that the state’s congressional maps were drawn with intent to discriminate against minority voters and invalidated three congressional districts. And last week, a federal judge ruled that the state’s voter ID law was written with intent to discriminate. Here is the full court ruling, for those interested. 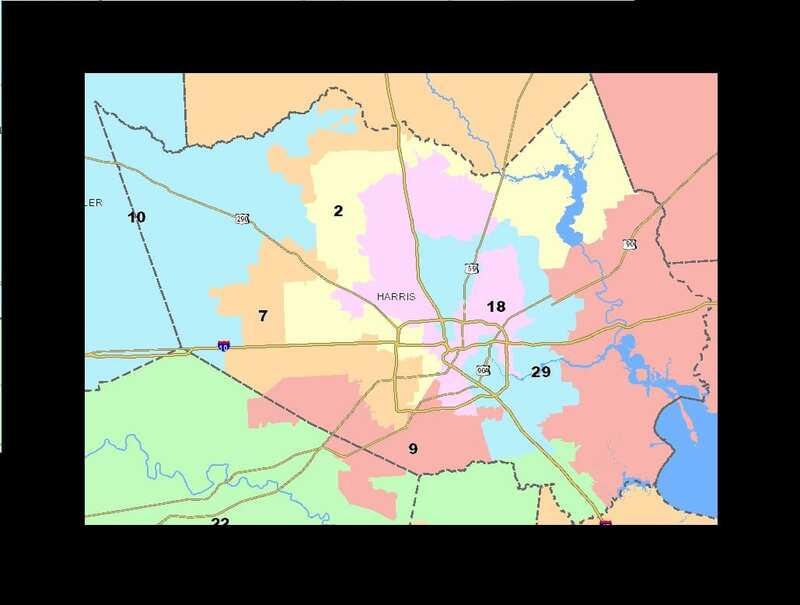 Redistricting is a very complicated process, but here are the basics. 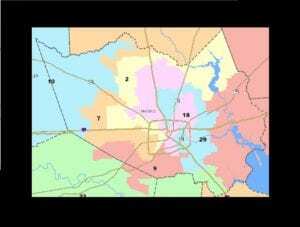 After each Federal Census (every 10 years), the Texas Legislature is required to divide the state by election districts which most closely match the shifts that have occurred. It’s definitely no secret that the state of Texas grew from 2000 to 2010, as was reflected in the 2010 Census. But what many folks may not know is that growth was overwhelmingly led by one group: the Latino community. Of the 4.2 million residents Texas gained between 2000 and 2010, nearly 2.8 million of them were Latino. That is 65 percent.. a clear majority of population within the state. We also know that much of this growth occurred in occurred the state’s largest metropolitan areas. So Texas didn’t just grow in population, it also became more urban and more suburban. As a result of Texas’ enormous growth, the state was allotted 4 additional seats in the United States House of Representatives, increasing our overall representation in the House to 36 members. Yet when creating new Congressional Districts, the communities holding the population gains were last in line to be ensured representation. 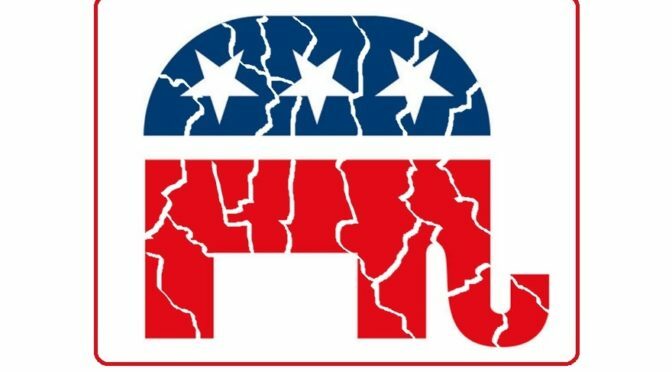 Two ways Texas Republicans used to achieve this dilution? Cracking and Packing. 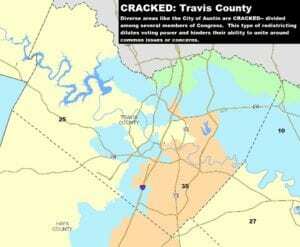 With Cracking, you dilute an area’s voting power by slicing up its Congressional Representation. Urban residents in Austin certainly share some common concerns in Austin, but they are cracked between 5 different members of Congress. With Packing, you take certain groups and shove them all together in the same district them together in a way which undermines to their voting power. District 35 is a great example of this, where the minority communities of Austin and San Antonio are cracked, then knit together in something of an awkward dumbbell. Cracking and packing often work in tandem. 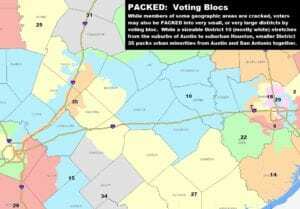 As an example, both Austin and San Antonio have sizable Latino populations. But if they’re in different cities, what would they have to do with each other? 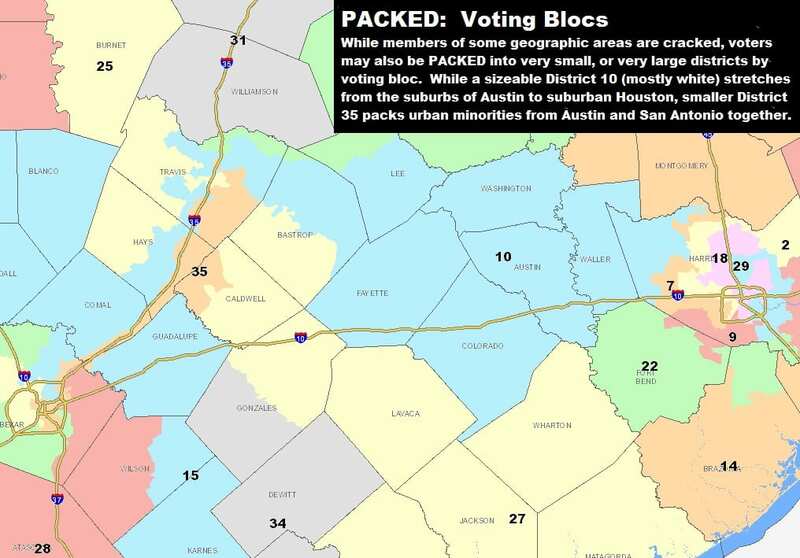 Under Texas’ redistricting scheme one chunk of the Latino population from San Antonio is packed in with minorities in East Austin, while other district residents are connected by a small sliver along Interstate 35. 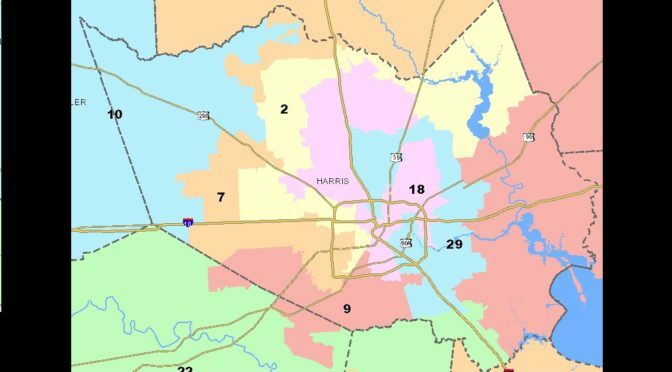 It through techniques like Cracking and Packing that Texas Republicans were able to do what is called Gerrymandering… they drew districts which are manipulated to enhance the strength of rural and suburban (mostly) white voters, while undermining the rapidly growing (mostly) minority vote. In the present political era, it’s tough to tell how such rulings would be enforced by Attorney General Sessions. But whatever accountability may be lacking in the Federal Government, we can take notice and make legislators pay the consequences in 2018 and 2020. Sure, it’s a popular mantra among Democrats since his failed run for President, but for everyday Texans on both sides of the political spectrum “You Cruz You Lose” is suddenly sounding with a much deeper resonance. 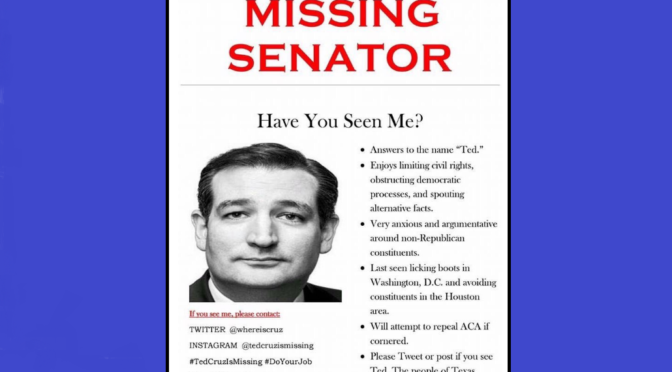 Ted Cruz is still missing. The U.S. senator from Texas didn’t appear at a town hall meeting Saturday, much to the dismay of several organizations that have for months tried to corner him during his trips to Houston. Hundreds of constituents appeared in the hope of peppering him with questions before he returns to Washington, D.C., but they were forced instead to address a panel of speakers assembled in his absence. Cruz isn’t really missing, of course. His spokesman noted that the senator took questions from 200 employees at a NASA subcontractor in Stafford last week. But he has for months declined requests from left-leaning groups including Indivisible Houston, Pantsuit Republic Houston and others to attend town hall meetings with local voters concerned about education, health care, immigration and other issues that became particularly contentious when President Donald Trump took office. With Congress in recess until Friday, the groups raised $5,000 to host the event in a Texas Southern University auditorium regardless of whether Cruz showed up. If you’re struggling to keep track, this now marks the Second Congressional Recess in a row that Senator Cruz has REFUSED to hold an official public Town Hall. This being the case while several of Cruz’s colleagues are doing their civic duty as elected officials, even if it isn’t always easy. 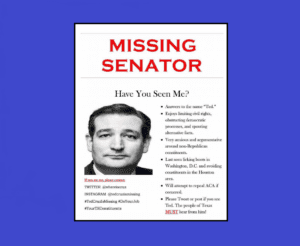 So what could be the reason that the Texas Senator can’t seem to muster the courage to meet his own constituents face to face?? I suppose Texans could understand if the expense of having to fly back and forth from Washington placed an undue burden on Cruz’s paltry salary of $174,000 per year (multiply that by 6 years in office, and you’ve hit over $1 million that Cruz has been compensated by the very Taxpayers he seems to ignore), but luckily for Senators, flights to and from the Capitol are are covered by… well, us. Granted, this has been Cruz’s first term in office. Hosting Constituent questions in a Town Hall can be of great challenge to even the most experienced elected official. I guess that could be an excuse, if not for all of those Town Halls, Teleconference Sessions, Open Forum Debates that Cruz seemed to master during his 2015-2016 Presidential Campaign. From the looks of it, Senator Cruz seems to have spent more time listening to the concerns of Iowa and New Hampshire residents than those who sent him to Congress in the first place. Not a good statistic for a politician rapidly approaching reelection. And in case you’re wondering… at least one opponent for Ted Cruz’s seat is having no problem facing the public. Just last week, Congressman Beto O’Rourke held another Town Hall in El Paso, facing tough questions from his constituents concerned his bid to challenge Cruz would detract from important work for the people of his district. O’Rourke is now 4 for 4 on his promise to host monthly Town Halls, even after the launch of an ambitious Senate campaign. Sounds like the current Senator could take a couple of cues from his rival. In any event, he better do something. Like the warming temperatures, this campaign won’t stay cool much longer. 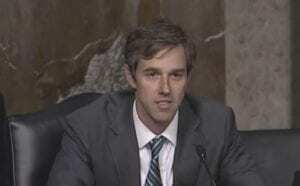 Let’s hope Texas finds its Senator soon. Does Ossoff Race Reveal Trouble Ahead For Millennial Leaders? So it isn’t exactly Texas. Voters in Georgia’s Sixth Congressional District will have 18 candidates to choose from Tuesday when they decide who should fill the seat vacated by former Representative Tom Price, a Republican who was tapped to become President Trump’s health and human services secretary. 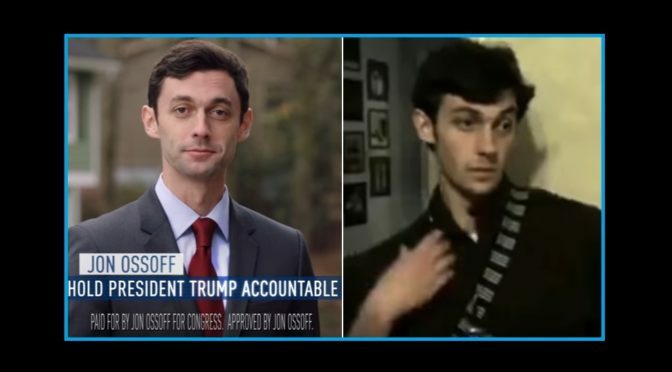 But none have earned more press, or raised more money, than Jon Ossoff, 30, a Democrat and documentary filmmaker who bills his campaign as a way to “Make Trump Furious.” Now, in one of the first political tests of the Trump presidency, the question is whether he can turn anti-Trump anger and energy into enough votes to send him to Congress from a wealthy suburban district that has not sent a Democrat to Washington in decades. The Times also provides an excellent 2017 Elections timeline, so you can keep up with some other key races in the coming months. For an off-year cycle, there is plenty to watch. We’ll hear plenty from tonight’s results, but ultimately that’s only one part of a much deeper story. The most important events from this special election actually happened during the campaign. As one of a precious few Millennials seeking federal office, Mr. Ossoff has had to endure the ire copious attack ads from Republican groups wishing to tarnish his credentials. No surprise there. A Republican super PAC has unleashed a $1.1 million ad barrage against Jon Ossoff, a Democratic newcomer who is attracting national attention and a torrent of fundraising in his campaign to flip a conservative suburban Atlanta district. The ad takes aim at Ossoff’s assertion that he worked for five years as a national security staffer who held top security clearances. Ossoff and his campaign said he was granted those privileges working for Johnson after his 2006 election, while the super PAC depicts him as a college student “dressing up with his drinking buddies” for part of that time. 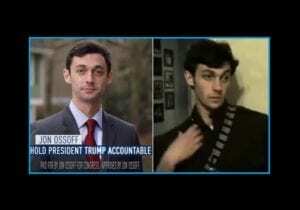 Instead of attacking Ossoff’s positions or his record directly, the PACs used old social media clips to paint him as an “irresponsible college student”, and make no mention of his career accomplishments since his 2009 graduation. In essence, Mr. Ossoff is being punished in these ads because he is a Millennial. Take a look at the “attack ad” in question. Anyone that is around and under the age of 35 is likely to have similar clips on social media from an earlier point in their life. A silly picture here, a politically incorrect comment there. It’s part of the young adult experience to capture the less serious moments of their lives. But if Ossoff’s race is any indication, these moments of past fun could wreak havoc for our nation’s next generation of leaders. If by chance you’ve forgotten, folks like Ossoff are an anomaly. Forget even running for office… Millennials are still struggling to even go and vote, as was well evidenced by the 2016 Presidential election. But if they don’t show up and vote for their peers, they are leaving electoral decisions to an older generation which may view ads like the one above as an actual problem. A loss for Ossoff means a validation of this strategy where younger candidates are made to look like fools from Social Media posts, and left far more vulnerable to defeat than their likely older counterparts. In the years to come, who won or lost this race may be far less important than why behind. So I’d like to hear your feedback in the comments. Should Millennial candidates like John Ossoff be punished for having a Social Media history? Let me know your thoughts. UPDATE: A big congratlations to Mr. Ossoff, who was the top finisher in last night’a Congressional Primary. Though the Democrat fell just shy of the 50 percent of votes needed to avoid a run-off, he was still far and away the winner of the contest, earning a larger percentage of the vote than all of his Republican challengers COMBINED. It’s on to the final contest, where he will face where he will face former Georgia Secretary of State Karen Handel. One can only hope that the conversation moves beyond the baseless attacks waged during the Primary Campaign. But in the era of Trump, don’t hold your breath. Beto O’Rourke Jumps Into 2018 Senate Race. Can He Win?? Remember when Bill White was going to roll Rick Perry in 2010? How about when Wendy Davis was going to sail into the Governor’s Office and “transform Texas” in 2014? 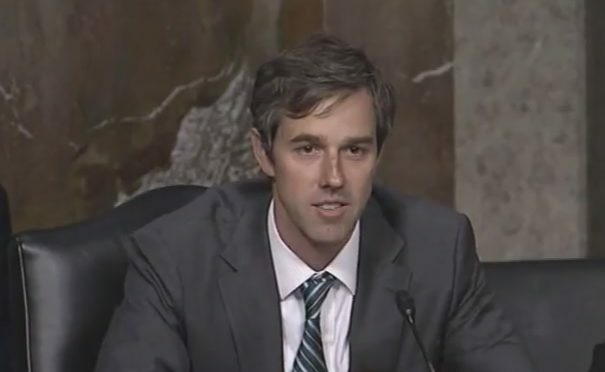 A polished, politically savvy Democrat is once again deciding to take a stab at the “red firewall” of Texas, and this time that politician is Beto O’Rourke, Congressman from El Paso who is challenging Ted Cruz for the United States Senate. No Texas Democrat has won a U.S. Senate seat in nearly thirty years or any statewide office since 1994. It is hard to find a political operative in Washington or back in Texas who would bet money – or professional credibility – on O’Rourke winning this race. But the El Paso Democrat is earnestly bullish that he will go to the Senate through a strategy of bringing retail politics to a state of 27 million people. He has no pollster and no consultants at this point, and said he has no interest in hiring operatives of that ilk. “Since 1988, when Lloyd Bentsen won re-election to the Senate, Democrats have spent close to a billion dollars on consultants and pollsters and experts and campaign wizards and have performed terribly,” he said. So that’s where we are. But eventually, the Lone Star State have to suspend disbelief and focus on where we are going. Texas Democrats are caught in a chicken vs. egg scenario. If we don’t run strong candidates, we’ll never build the infrastructure needed to win a statewide office. If a good candidate is out there, we would rather see them run now than us continue to wait for the “right moment”. A Ted Cruz victory isn’t as sure as we may think. Many folks in his own party would like to see the Senator lose his seat, and he may soon be facing some primary challengers. When it comes to his actual job of representing 27 million Texans, the esteemed Senator doesn’t have much of a record on which to run. Heck, citizens are lucky just to see the person they’ve paid over 1 million dollars in salary host a town hall meeting where they can express their concerns. If O’Rourke can improve on these two paltry statistics, he’s off to a good start. But the Congressman from Texas’ 16th District has an impressive record and some policy goals that will grab the attention of many young voters. His vocal support for the legalization of marijuana has already proven positive among Millennials. His record in local government proves the ability to work across the aisle and actually earn results for the people of his district. With such depressing results, it’s easy to write Texas off as a wasteland for Democrats. But the potential of this State to surprise should also not be underestimated. Thanks to Bernie Sanders, and (ironically) the election of Donald Trump, Texas Democrats are energized and ready for change in 2018. If that same coalition were to unite, reignite and stay energized around a statewide Democratic candidate, it’s more than possible that they could win. Indeed, Mr. O’Rourke has a Herculean task ahead of him, but with an early start and unconventional campaign, he might just take Texas by storm.